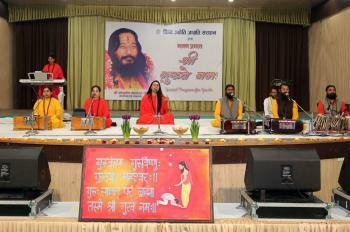 A spellbound melodious concert was organised by Divya Jyoti Jagrati Sansthan (DJJS) in SBS Nagar on 16 August 2015 from 7 pm to 10 pm. 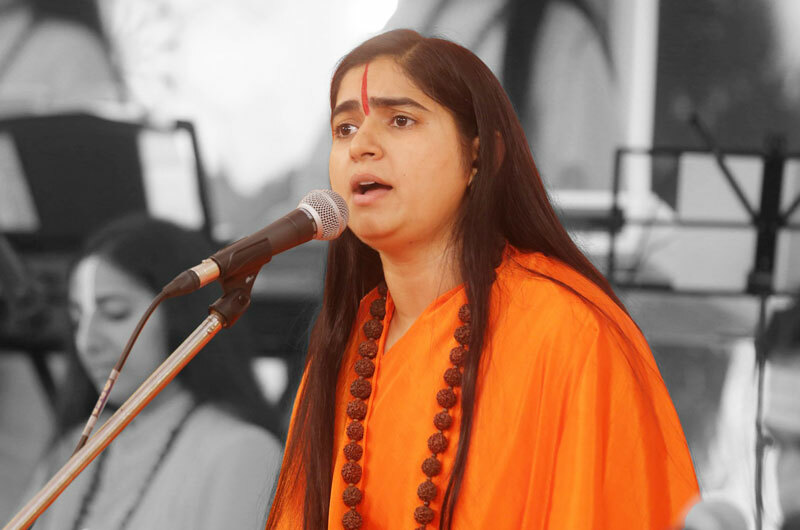 Sadhvi Garima Bharti Ji, disciple of HIS Holiness Shri Ashutosh Maharaj Ji, through enlightening discourse session, explained the dire need of the hour to tread on the spiritual path with immense faith, belief, love, and devotion. 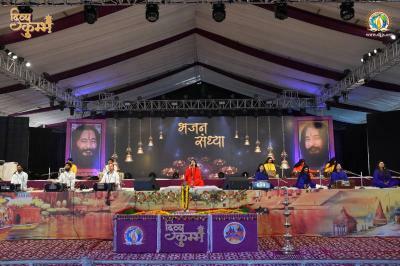 Hundreds of people were highly enlightened by the event. DJJS’s preacher motivated and enthralled people with divine thoughts. Dr. Ravinder Karra( High Take Care Center S.B.S Nagar), Sh. Vinod Bhardvaj (President B.Ed College of Education SBS Nagar) and Sh. Angad Singh (Youth President Congress), were among the Chief Guests who graced the occasion. Sadhvi Ji explained that for centuries, Indians were connected through culture and traditions. Our culture has nurtured the principles of truth, justice, love and good conduct. Our culture has always been a differentiating factor vis–a-vis other nations. Hence, these are equally important to follow in today’s modern time also so that our identity is maintained and we don’t ape the west blindly. Through her oration, she said that, “No country can ever achieve social or economic prosperity unless and until her youth is master of a strong character. And in a young nation like India, it’s imperative to awaken its youth and to build strong, fervent and zealous individuals.” She focussed on the powers of Youth as Youth is the backbone of our society. Youth is the creator of destiny of mankind. A determined youth, dedicated to right values, is an asset to the society. Yes, great changes can be brought by the youth, who has realized the immense source of energy within, to face the ordeals of all types. Devotional songs are known to calm the mind and attain peace within. 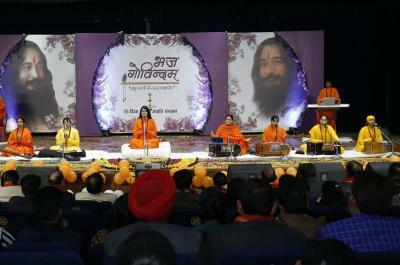 The audience was mesmerized by the Bhajans and with the meaning that each one of them carried. 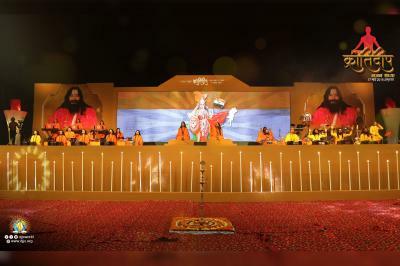 Devotees were doused with the soulful renditions sung by the Disciple preachers. A lot of followers experienced an ambience of positivity and many were captivated in the divine waves.